Wow, I’m actually cringing at today’s post title. And yet, it remains because all of these gifts are sensational ways to bring a little zen into your everyday. So take a deep breath, relax, and read on! Few things are more relaxing than a hot bath before you slip off to sleep – but I’m willing to up the stakes a bit with this yawn-inducing (in a good way) bath bomb. Infused with a triple shot of lavender and soothing chamomile, it’ll give you that instant spa ‘ahhh’ experience for a fraction of the price. Perfect as a surprise gift for your overtaxed friend, sibling, or spouse. To me the best relaxation techniques accomplish two things: they allow your body to physically unwind, and they help to clear (not shutdown) your mind. 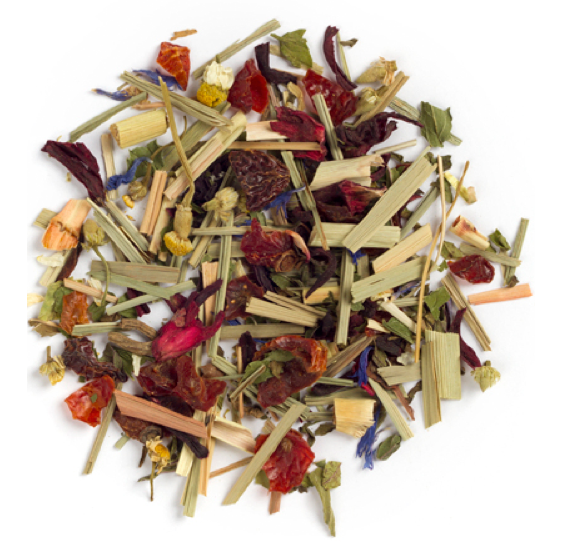 That’s why this particular blend of loose tea from DAVIDsTEA is so intoxicating to me: it combines the way-soothing properties of chamomile with the invigorating qualities of peppermint and lemongrass. A little zesty but without the zing, this is an ideal fix for your tea-drinking coworker or friendly. I own one of these puppies, and I can honestly tell you it’s one of the most enjoyable things that will ever come close to your body. Although slightly medieval-looking in design, these tiny steel arms will create those amazing tingles you never knew how badly you craved until they make your spine shiver. Try it on yourself for instant unwinding magic, but better yet, use it as an excuse to snuggle up with someone special. Guys, this one belongs in like…the Canadian Gift Guide hall of fame. I spotted it on display at my local Chapters store one day, and was immediately entranced by what an amazing gift idea this is. And I was proven right, because upon acquiring one and placing it on my desk for mid-day doodling, my coworkers were equally enthralled / vowed to purchase it as a gift for the upcoming holiday season (or for themselves). Branded with the tagline ‘the art of letting go’, the Buddha Board is a simple slate board that allows you to paint with water. Your artwork disappears after a few minutes, but the lingering bliss of gently sweeping the included calligraphy-style brush will settle your mind for quite some time. What’s extra special about this one is it comes in a handy, ready-to-give kit including the board, brush, water / display tray, and a handy guide to getting started with your board. Fair warning: it’s extremely addictive. Whoever you buy it for may get swept up in artfully swirling their stress away. 1) Leave a comment by October 17th on which gift idea you’d most like to bring zen into your life. 2) Entries are limited to one per person / per email address / per household (or more if you score bonus entries). A random draw will be conducted on or around October 18th to select the winner, who will have 48 hours to respond before another winner is chosen in their place. 4) Bonus Entry: Keep an eye on all new, non-contest posts (i.e. posts that are added after today’s date, and don’t have their own giveaways attached to them) that go up over the contest period. Leave a comment on any of these posts, tag it with #cgg and you’ll earn yourself some bonus entries. 5) Bonus Bonus: Indigo’s the place to be for amazing gift ideas like the Buddha Board. Stay on top of what they’ve got in stock by liking them on Facebook, and leave a comment while you’re there (you’re under no obligation to mention this contest). Leave your Facebook username in the comments below! I really like the idea of the Buddha Board, but I think my favorite is the body massager. I can’t say no to a good massage! Love it all. The body massager would be most welcome and anything for the bath is great as well. The buddha board is perfect for a serial doodeler like me. TO MAKE JENN MORE ZEN I WOULD SAY THE MOST USEFULL WOULD BE THE BUDDA BOARD. -THANKS! The buddha board all the way! The body massager would be useful. The body massager sounds great and I’d love to win it! loving the body massagers! And obviously the Buddha Boards are so clever! The body massager sounds heavenly! The body massager would be great. Love the Buddha Board! 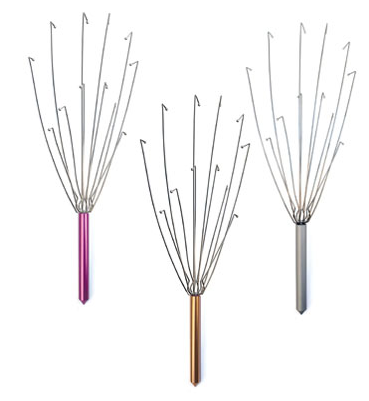 I have something similar to the body massager except is for your scalp – they are heavenly. I like the Buddha Board! I love David’s Tea so I’d definitely lean toward that…but I also think that Buddha bOard looks way awesome. I love the Buddha Board, I love doodling and painting so this is a great way to work out some stress! definitely the Buddha board. I think it’s a great idea! As I have a body massager already (different brand), so I think I would like the Budda Board because I love to sketch and paint! I’d like to doodle with the Buddha Board. I love the budda board. Super cute! Either the bath bomb or the Buddha Board. Both are such great ideas! buddha board is a wonderful gift idea.a very nice way to express feelings. I really like the Budha Board also. Such a great idea! I love the Buddha Board and the idea of being able to write down your worries and have them vanish before your very eyes! I love these boards I have always wanted one. One of my favourite relaxation tools is the humidifier that you put essential oils into. The bath bomb sounds heavenly. My favourite relaxing thing is to take a bath before bedtime, especially if I’m sick. The bath bomb! There’s nothing like a soothing bath after a hard day of exercise! I think the tea would make for a good zen moment. It helps you to relax and maybe do a ittle meditating! i love the Buddha Board. I have seen it at Chapters and it is very relaxing to use! love them all. draw on the zen board and have a massage to rid my stress. then have a cup of tea and relax in a soothing bath. I need the Buddha Board. Definitely the buddha board – it’s surprisingly relaxing! They are all incredible ways to relax. I’m feeling a cup of David’s tea in the tub with the bath bomb… followed by a buddha board session. 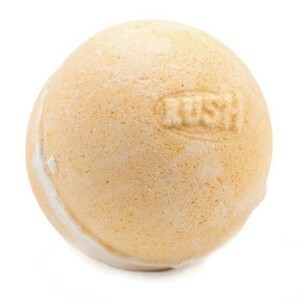 I love the LUSH smelly stuff!! Bring it on..zen me baby! Heyo! I’ve definitely seen the scalp ones – there’s two separate kinds made by Kikkerland! If you didn’t have luck with the scalp one, I do seriously recommend the back one – it’s amaze. I love the Golden Slumbers bath bombs! Lush stores always smell fantastic! I have to say the Buddha Board wins … anything to destress at work…however the Golden Slumbers bath bombs come a close second! Definitely the buddha board. I’ve never seen anything like it. To bring zen into my life, I relax and have a pot of herbal tea. I choose the tea. The massager, because I have one, but the Buddha Board, because I don’t. The Bath Bomb for sure! They’re magical things. I love the Buddha board! The Buddha Board looks amazing!! 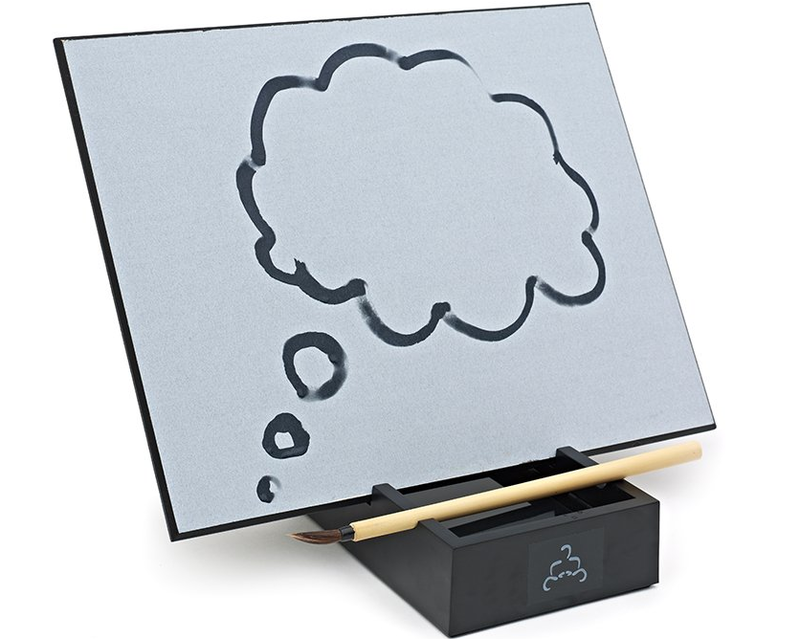 Me want, come to me buddha board, the universe will make it happen!